Thank you Lord for the blessings of my family and friends ... I pray for safe travel and good times to each of you who are sharing this day with those you love. A special prayer to those who are in our military and not able to spend the day with their loved ones ... I thank you and your families for your service to our country and keeping us safe. God's Blessings. As some of your know, I am a huge fan of Laura Denison. I saw her Halloween castle and my jaw just dropped ... then I saw her Gingerbread Castle and knew I had to do that project. Among all the things happening around here I have been working on my "Up On The Rooftop" Castle ... which looks just like her Gingerbread castle with a few changes :) . This was so much fun to make. I'm not totally finished until I complete the mini album that fits inside, but I'll be working on that and let you see when I am finished. I also apologize for my pictures. Geez, was I so tired last night that I was leaning to the right????? I'll work on that! 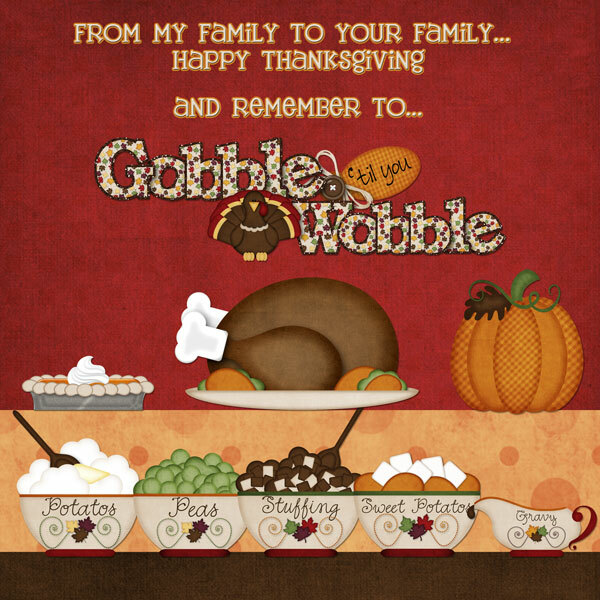 Have a great day getting ready for Thanksgiving tomorrow. Thanks for dropping by! 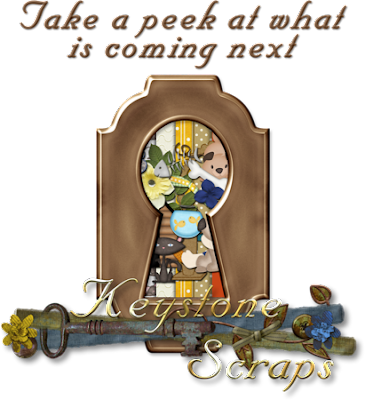 You Will Use This New Kit from Keystone Scraps Fur-ever! If you are anything like us, you have some fur-babies at home that make for terrific photo shoots! 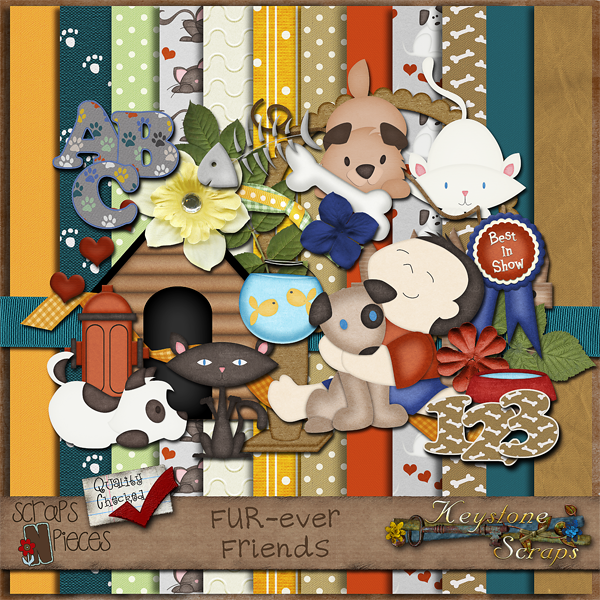 FUR-ever Friends is a fun filled kit to scrap all those adorable doggy and kitty photos!! With a cozy warm color palette, 18 papers, 45 adorable elements,and 2 (yes 2!) unique alphas, your pages of your furry family will be the cat's meow! 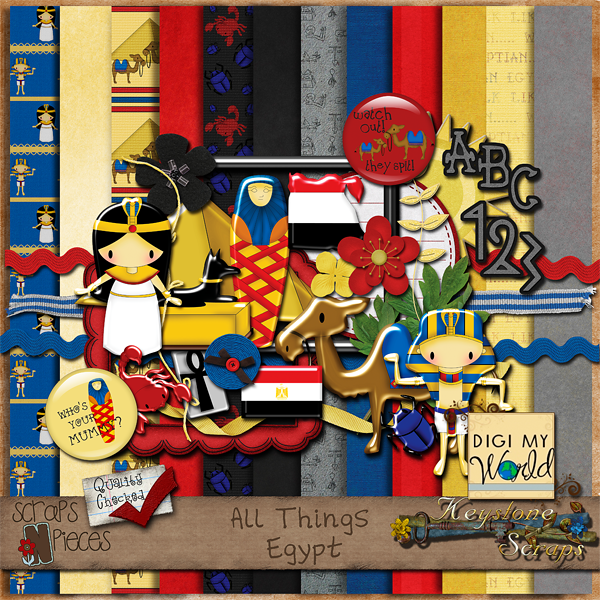 Be sure to check out the creative team's purrrrfect pages here..... they are doggone adorable! 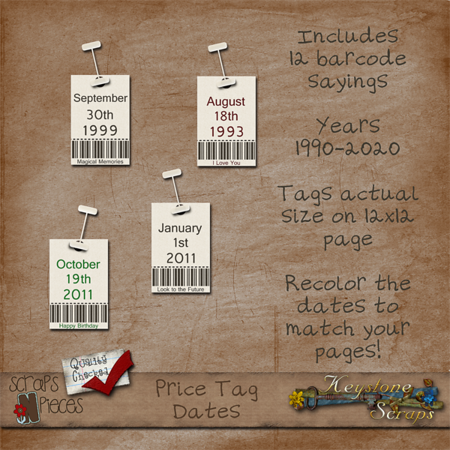 Also new in the store this week... is our brand new Price Tag date elements! A fun and easy way to date your pages! 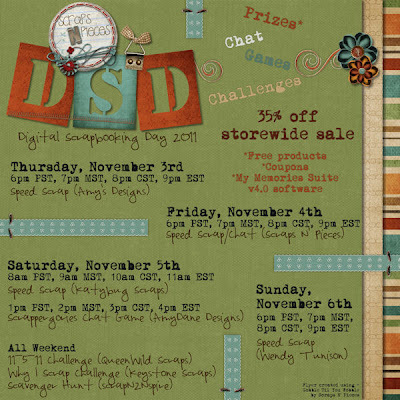 To celebrate DSD this weekend... our ENTIRE STORE is 35% off!! But... since you were so wonderful as to stop by here this weekend, here's an EXTRA 15% off your Keystone purchase THIS WEEKEND ONLY! So that's 50%off! There's all kinds of other fun and games at Scraps N Pieces all weekend! 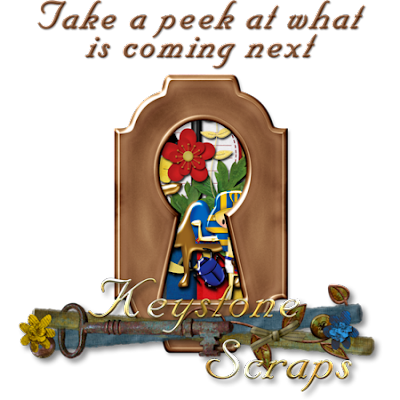 I wasn't able to make you a freebie since I'm on vacation, but please stop by Keystone Scraps' blog to see all the goodies the creative team has for you. Enjoy! Check back tomorrow to see this adorable kit from Keystone Scraps!